This fund raiser is for Vidushi Singh who was diagnosed with Tuberculosis some time last year and was under going treatment for same. 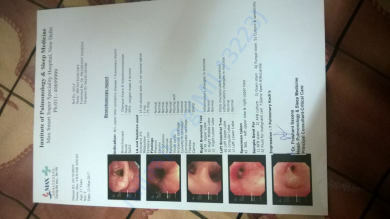 The tuberculosis has severely affected her lungs resulting in Pulmonary Koch. 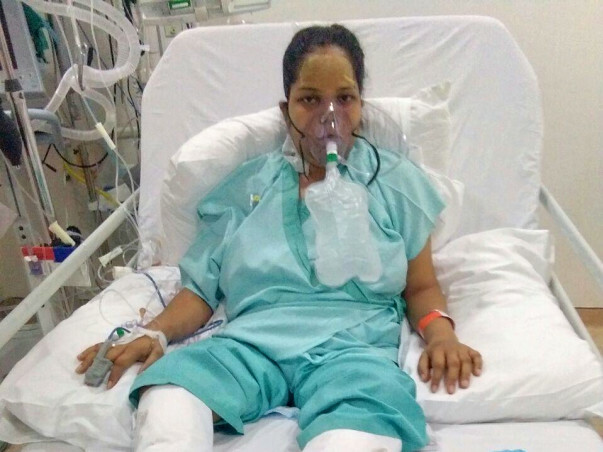 She had to be admitted to Forties Gurgaon on 30th March 2017 due above condition and had to be put in ICU and on ventilator. She has been switched to ECMO since 3rd April 2017. The hospital expenses are mounting and would be increasing with due passage of time during the course of her treatment. 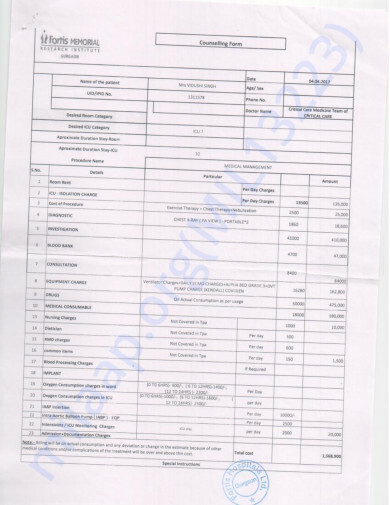 The hospital bills on 05 th April are already to the tune of 13.5 Lacs. 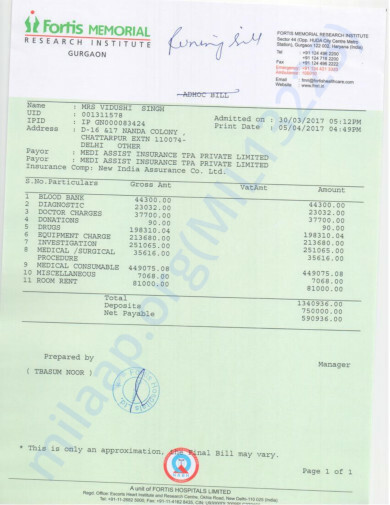 The Hospital has given an estimate of expenses expected to be incurred in next 10 days during the course of treatment as around another16 Lacs and could be more basis criticality of the situation. Vidushi comes from a middle class family and for them these turn of events are unexpected and extraordinary. They have a been able to deposit 7.5 Lacs to the hospital and and require support to clear the future outstanding as raised by the hospital. Vidushi is 32 years old and a mother of 4 year old daughter. Help Vidushi survive and raise her daughter. Happy to advise that Vidushi has been discharged from hospital. She is under medical care with Doctor and Physiotherapist visiting and nurse attending. This would continue till she recovers completely. 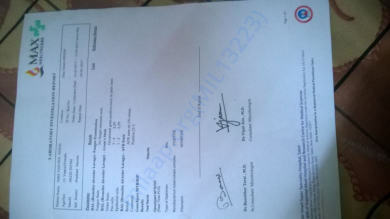 This is to update on Vidushi's condition. She has been moved out of ICU now and under general medical care and observation. All going well, doctors may plan to discharge her from Hospital in coming days. She will have to be under medical care till her condition normalises and sustainable without any support. 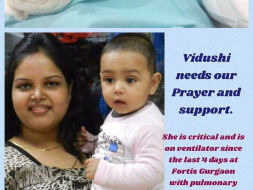 This is to update on Vidushi's condition. 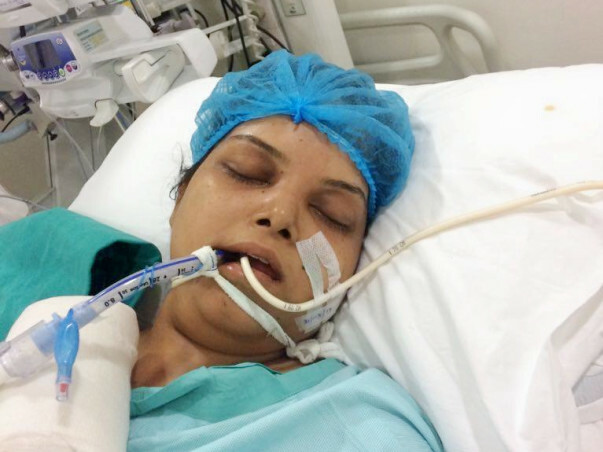 She is still in ICU and Oxygen support. There were some complications experienced day before but she stabilised in due course. She is recuperating and condition gradually improving. Vidushi had worked with me. It's shocking to see her in this condition. May God bless her and make her well soon. This amount is for Vidushi..God bless her!